Sunday Canning - Strawberries & Champagne - Canning Homemade! I had high hopes to get quite a bit of canning done. Unfortunately I only had time for two recipes, but I was excited to complete the Strawberry Champagne Jam. I again found that slowing things down for the fruit and putting in the time for a low simmer gave the jam an unbelievable texture and shine to it that made the recipe more luscious. After doing so many recipes I am becoming more interested in turning out a great jar of something than just doing a recipe to get it into the pantry. In a dutch oven or stainless steel pot add the strawberries and 1/2 cup of the champagne. Cook on low heat for 20 minutes, stirring occasionally. Add sugar and lemon juice and bring the recipe back up to a boil. Add the pectin once at a full boil and then let come back to a boil for one minute. Turn off heat. Add the other 1/2 cup of champagne stirring till bubbles are stirred in. Skim foam as best you can. Using sterilized jars ladle the recipe into 4 half pint jars, remove air bubbles and refill to 1/4" headspace. Using a wet paper towel clean rims, add heated lids and add rings. Process in the water bath at a full boil for 10 minutes. Turn off heat, wait five minutes and remove jars and set on dish towel on the counter overnight. The next day label your jars and remove rings for storage. My second recipe was one of my favorite pressure canning recipes. The reason is that it has a lot of ingredients and they start out simple in the pot but after a few weeks in the jars the complex flavors with all the spices and veggies makes it a superstar of a salsa. I am talking about my Black Bean and Corn Salsa. I did eight pints today and the black beans I used were the small size since they work better with a tortilla chip. I know not many people would think about that but I served my previous jars and got great compliments on how nicely the beans and corn were sized and scooped well on a chip. With the recipe I did today I substituted the fresh jalapenos for cayenne powder for a different heat to the salsa. In the pot the flavor was really good and the beans still had a bit of a bite which if you over precook them they will be mushy and fall apart in the pressure canner. The night before, sort and soak your dried black beans in enough water to cover them. Leave in a cool place. The next day drain beans in a colander and put back into a pot adding 4 cups of water and cook for 30 minutes on a simmer. Do not boil as it will cause the beans to split. To continue prepare 8 pint jars, lids and rings by sterilizing. Once your beans have cooked the 30 minutes, in a dutch oven, add 15 ounces of the black beans without cooking liquid. You will have about a two cups left from a dried one pound bag. Add the remaining ingredients and cook for an additional 10 minutes till the mixture is boiling. Remove from heat and ladle mixture into the hot jars leaving 1" headspace. The extra headspace is for the expansion and beans absorbing some of the liquid. Put on lids and rings and place into a pressure canner. 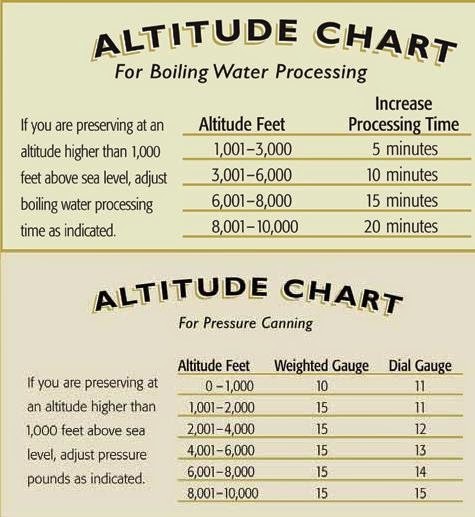 Process in canner for 75 minutes at 11 pounds for the pints, 90 minutes if you choose to use quarts.